As spring time I approached I noticed the sweet butterflies drifting into my yard. My family and I love butterflies and they also have a very special significance for us. 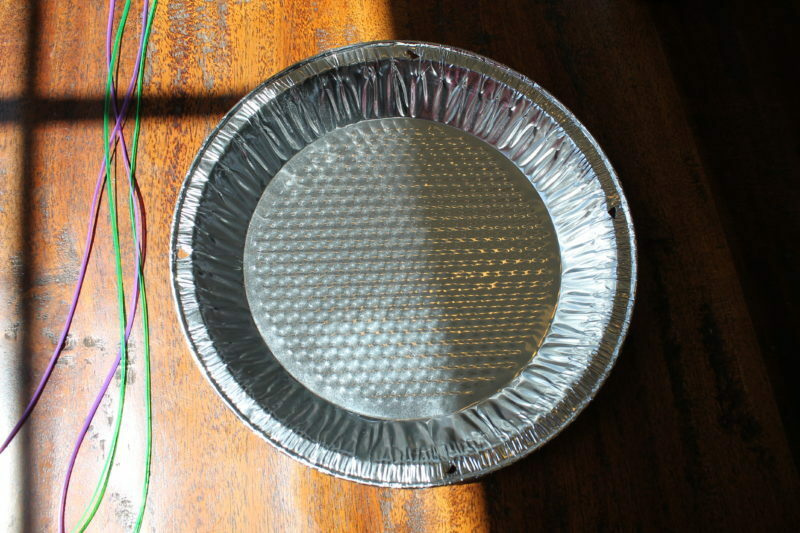 As I began to research butterflies, I discovered this wonderful idea from a Pinterest Board. 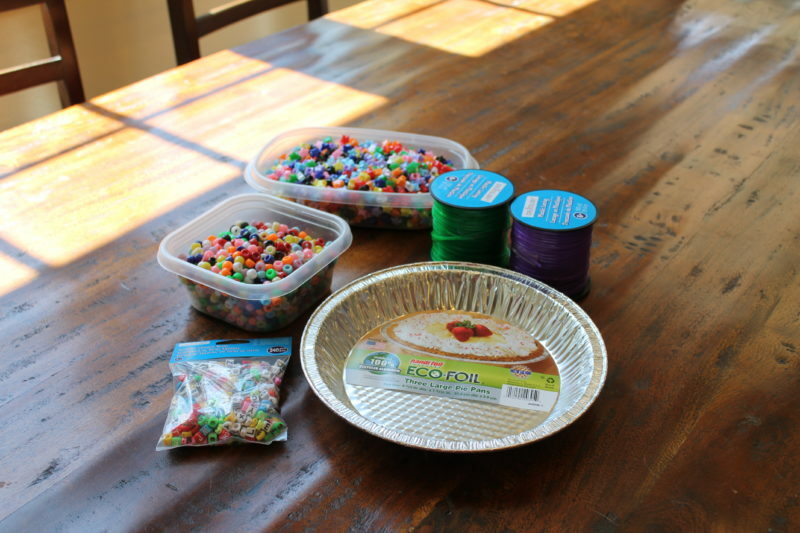 This easy DIY Butterfly Feeder Tutorial is an engaging way to teach your family about the magic of butterflies, science, counting, patterns, and can even a be special way to remember old friends. 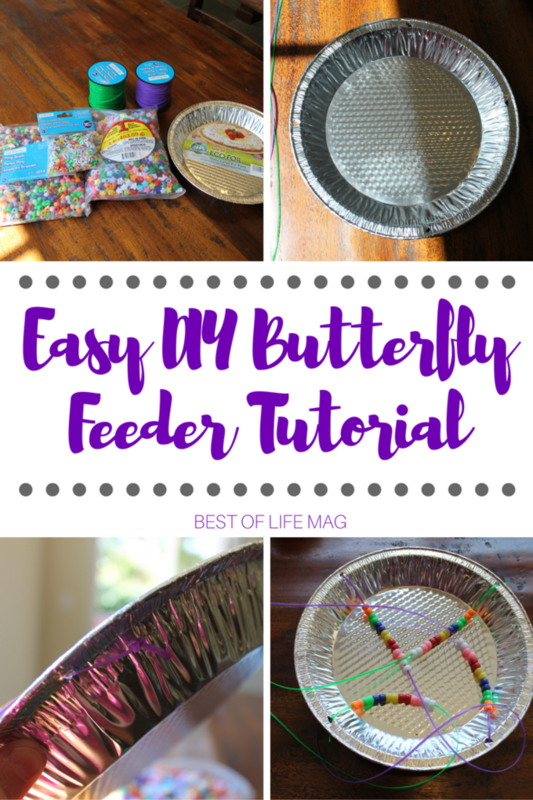 Butterflies signify new beginnings among other things, draw the beautiful creatures to your yard with this fun DIY Butterfly Feeder! Measure and cut four pieces of plastic lacing string (about 18 or more inches. 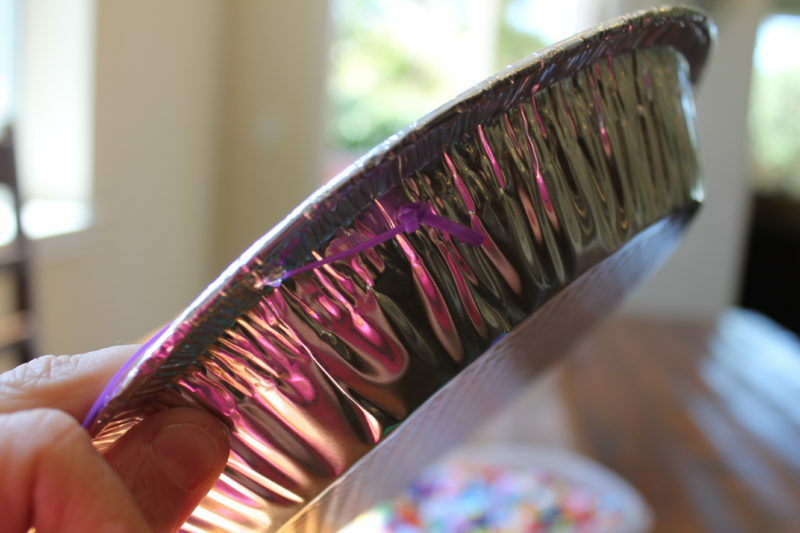 Insert string through hole in pie tin, then tie a big knot at the bottom so that the beads do not fall through the pie tin. 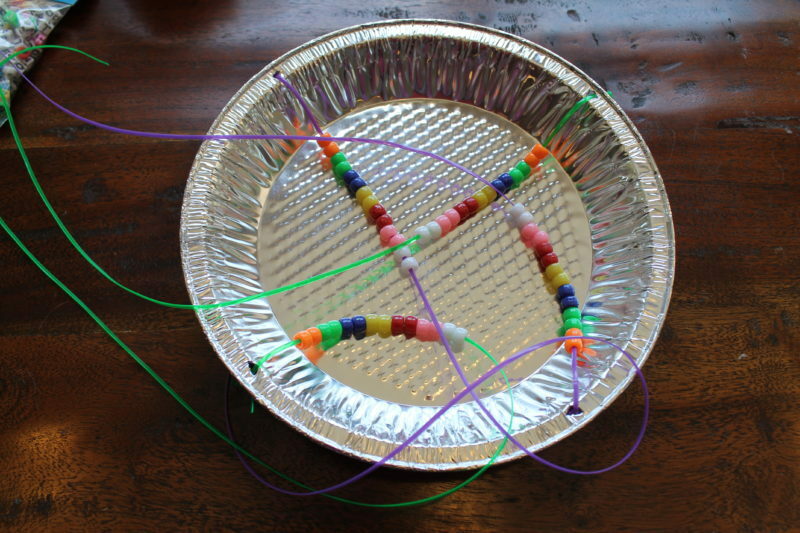 Create a pattern with the beads to a desired length on each string. Keep in mind that butterflies love bright colors. When finished, bring strings together and tie at the top. Cut up fresh “butterfly fruit” and hang in a desired location. For my family’s butterfly feeder, we added names of special people in our family’s life because we wanted to find a special way to honor them and remember them in a meaningful way. 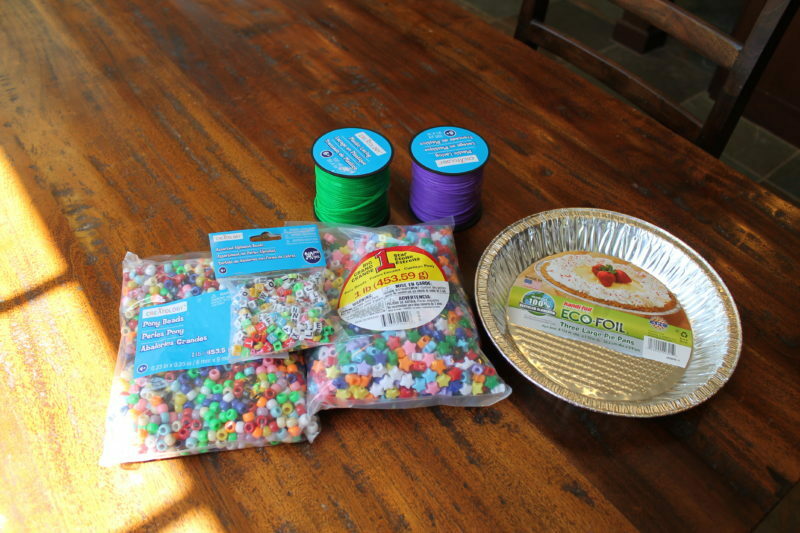 Some additional ideas might be to include your children’s names, write a special note, etc. As always, when you create this and any craft together, let it be a wonderful opportunity to listen and enjoy your family.